Standing in the corner of what now is our bedroom. How cool is that! Was that a new build house or did you put on a master bedroom addition? It is a new build house. It's actually the second home that we have built. We also vow that it's our last time moving until we move into the nursing home *wink* LOL! 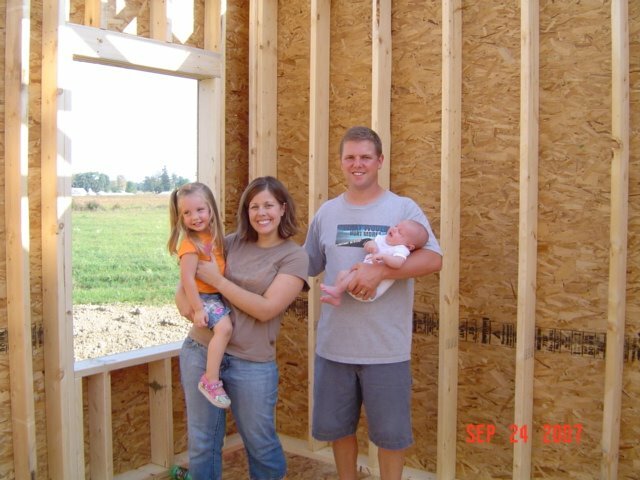 Building a house is so exciting but you must be happy to be in and settled! That must be pretty neat to have a home built just the way you want it!